threesixty. 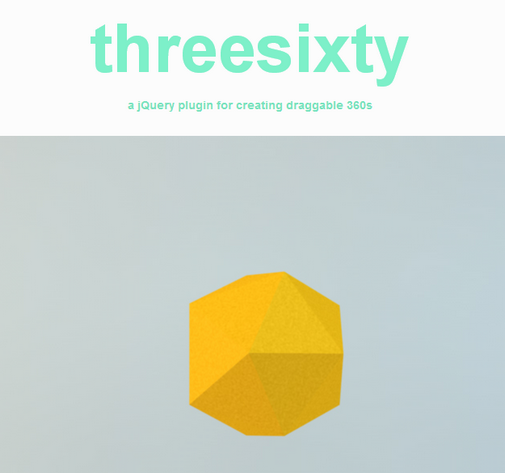 js is a simple jQuery plugin which allows you to create draggable 360s easily. You can then use your mouse to drag the image generated to view it in 360 degree view. Creating the 360 degree view is quite simple. You just take a bunch of images which will make up your 360 degree view and name them in the format imageNameimageIndex. Then you specify the max index to the plugin and it takes care of the rest by generating your360s.